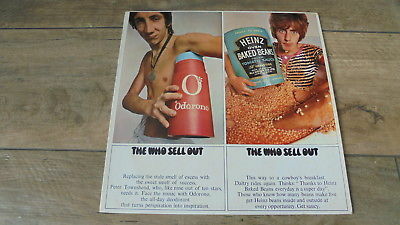 The Who - Sell Out. OriginalUKLP Issued in 1967 byTrackRecords (612002). Mono. First Pressing, A2/B1 Matrix Numbers !! Complete With Osiris Poster Insert !! Poster is inVG+ Condition (has a pin hole in each corner).